The Parquet Oak Collection replicates Natural Oak in miniature scale. The six ‘mini-plank’ stave decors can be laid to create classic parquet patterns – from retro-inspired chevrons to classical basketweaves - or combined with Natural Oak to form room borders and decorative features. The fourth new collection – Selected Woods - is an eclectic mix of reclaimed pine and engineered oak decors. 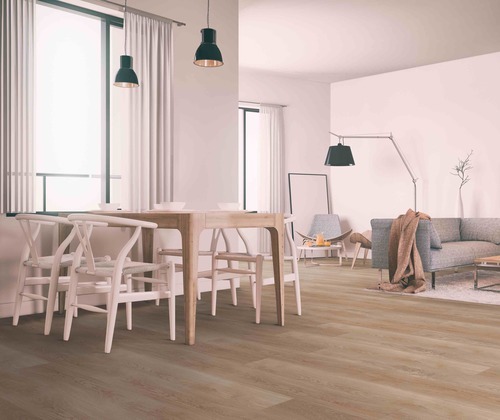 It includes eight designs, in a contemporary grey and mid-toned oak palette. This press release was distributed by ResponseSource Press Release Wire on behalf of Angela Fitzhugh PR ( AFPR ) in the following categories: Home & Garden, Women's Interest & Beauty, Construction & Property, for more information visit https://pressreleasewire.responsesource.com/about.